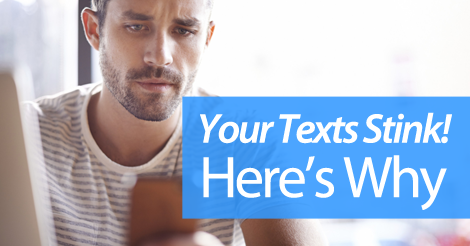 Think your subscribers are ignoring your text messages? You might not be far off. In fact, on certain rare occasions, your SMS marketing subscribers might not even be opening your text messages. Now, we don’t want you to get concerned. This isn’t a regular occurrence. But, if you sense that this might be happening, we want you to be prepared with a solution. Run through this 3 point checklist, and make sure you’re not making any of these detrimental errors. You’re sending out way too many campaigns. Even if you’re following the original frequency promise, maybe that quantity doesn’t suit your subscriber’s needs. Let’s say you promise to send no more than 6 campaigns a month, but six just seems like too much. In order to observe steady offer redemption rates, maybe you only need four. Don’t send campaigns “just because.” Make sure each message has a clear purpose. You offers aren’t relevant to your subscribers. Your offers simply don’t interest subscribers. After a few duds. they just stopped opening your messages all together, and will eventually unsubscribe. Your subscribers just aren’t qualified. Maybe your offers really are great, but you’re targeting the wrong group of people. With SMS marketing, it’s all about quality, not quantity. If you have a list of 1,000 SMS marketing subscribers, but only 1% of them pay attention to your messages, you’re in a bit of trouble. Focus on adding qualified and highly targeted subscribers to your list. Join forces with the best SMS marketing provider online today. Give us a call at 1.800.688.6290 to learn more, or head over to the pricing page and sign up for a free plan. Our feature rich platform makes it easy for even the newest business owner and account holder to succeed. We want to empower you with our learning tools and dense, actionable content.